The Hangout feature available on Google+ is one of the leading Video Call technology at this day. For Yahoo Messenger Video Call for example, it still only capable to used face to face aka cam to cam process which mean I see you, you see me. It involves only 2 people. Unlike this kind of C2C the Hangout on Google+ is able to simultaneously make video chat with almost 10 people at once. 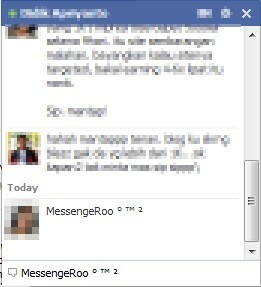 This is something that Yahoo Messenger can’t handled. It might due to this kind of Multiple Video chat need a huge server base. On the contrary the conventional Video Call uses Peer to Peer technology. The great news is Google Plus Hangout is now available in Gmail. Furthermore, it would replace the Gmail Video Chat. You are currently running Yahoo! Messenger 11.5.0.192. A newer version, Yahoo! Messenger 11.5.0.228 is now available. Please update your version of Yahoo! Messenger to ensure that you have the latest features and security updates. Click the “Update Now” button to continue. 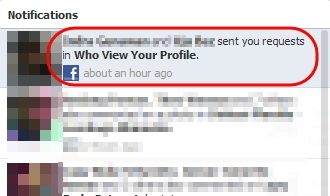 This is another application that almost the same as Facebook Verification Urgent. It seems this application — named as Who View Your Profile — that been viral thru facebook friend requests would only gave you fake apps. 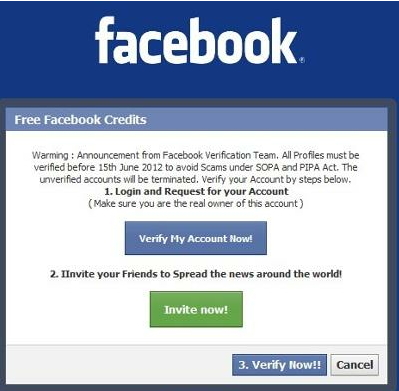 This is a SCAM, HOAX, or even a kind of Malware or phising site (Virus) on Facebook using apps. Don’t misunderstand about this Twitter Chat. We aren’t give you a brand new info about the twitter features though. As you might knew, there is no way you can make a chat with your twitter account to your twitter friends (followed / following) if you just depend on official twitter. 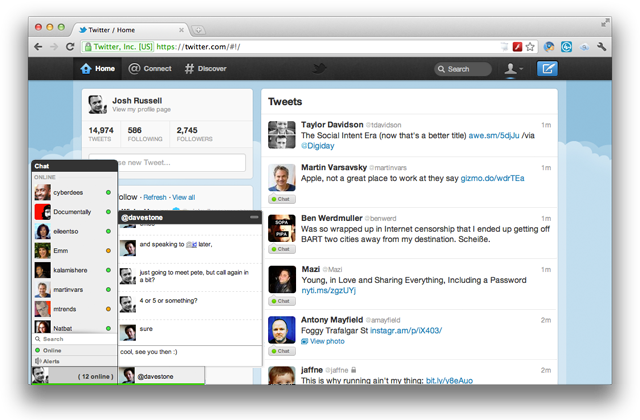 It because there is no such kind of Twitter Chat client. But don’t worry, there is a third party Instant Messenger that would allow you to do chat with your twitter account directly from your web browser. You can chat just the way you can do it Facebook Chat or Google Talk or G+ Messenger. How you could do that? Just use Bonfire IM Chat client Web Browser Add-ons / Extension. If you wanna use special character like Trademark ™ and many other special character in your Facebook Chat or Facebook Status (including notes, comments, etc) directly by using your keyboard (usually you need to copy paste the code – I guess). This seem not fast enough. You need to search and the copy paste. How about if you remember the shortcut key to make Special Character like that just by using your keyboard. If you don’t know how to do that, let me guide you. Let start with the simple one you want to create trademark ™ degree º or square ². All you had to do is simple. Press and Hold down ALT button, then use numeric lock (remember num lock not just number) to follow. If you wanna create Trademark use ALT + 0153. If you wanna create degree use ALT + 0176. Then release it. That’s all. 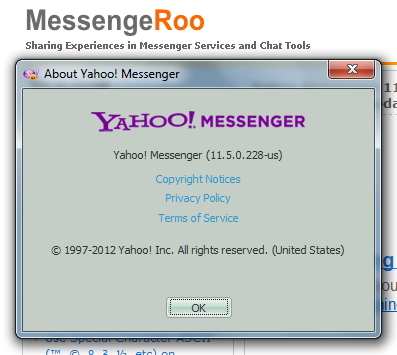 Yahoo Messenger 11.5 is an adware. Adware means that the Yahoo Messenger 11.5 would generate an advertisement or sponsored banner/link automatically in to the client applications / software. For some reason such as if you using a limited bandwidth for your internet connections, cutting unnecessary bandwidth would save a lot. This means for Yahoo Messenger 11.5, disabling the Advertisement on its, stop the bandwidth usage for loading the banner or ads link. Blocking or disabling ads on Yahoo Messenger 11.5 can be obtained by several ways. The tricky ways that almost works in all version of Yahoo Messenger is tweaking the windows hosts file (for Windows OS Only) or tricking the registry. 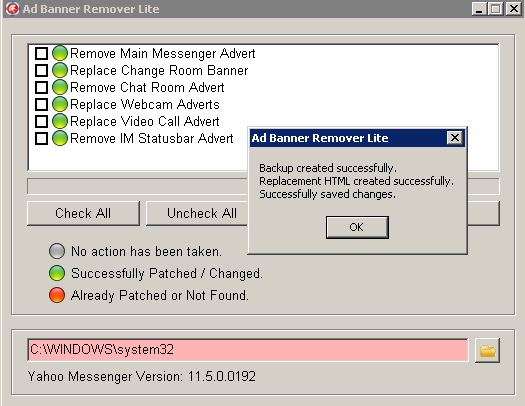 But you can do the simple way by using Ad Banner Remover Applications. I knew this change quite long ago, but I decided to wrote it at this time. You might already knew that there are some additional newest Yahoo Messenger Emoticons available right now, especially if you are using Yahoo Messenger via Yahoo Mail aka Yahoo Web Mail Messenger. Here are some of them that I could found.